Mass. 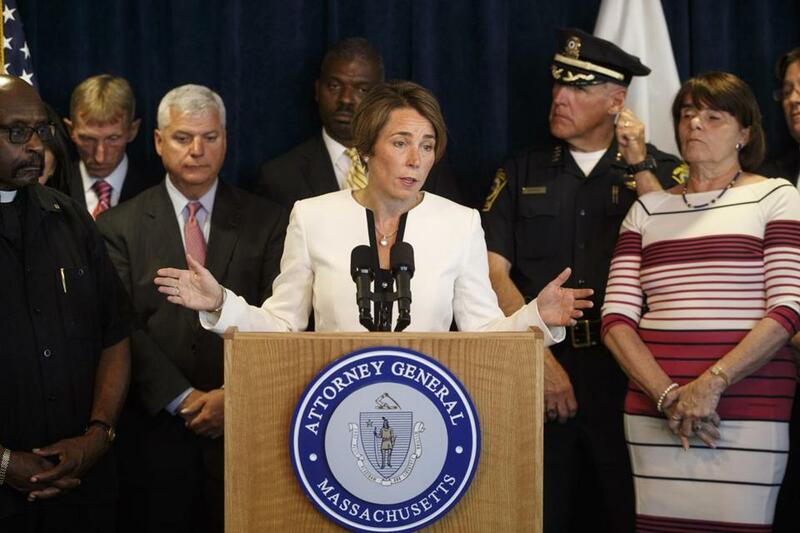 Attorney General Maura Healey spoke during a July news conference to announce the enforcement of a ban on the sale of copycat assault rifles in the state. A Suffolk Superior Court judge on Friday denied an attempt by gun manufacturer Glock to avoid complying with a demand for records by Attorney General Maura Healey, who is investigating safety issues with firearms manufactured by Glock. Healey requested the documents under a civil investigative demand, as part of a sweeping investigation into safety problems involving guns manufactured by Glock and another major company, Remington. Both manufacturers are fighting her efforts. Glock had argued that it did not sell its guns directly to Massachusetts consumers, though it acknowledged that it does sell pistols to Massachusetts law enforcement agencies and military personnel. Healey has asserted before that gun manufacturers are not properly policed by federal regulators, but Massachusetts has its own laws related to public safety. In court records, her office cited apparent accidents involving Glock pistols, including one in Massachusetts in which a man’s Glock handgun fired while it was in his pocket as he was dancing at a July Fourth party. “The gun industry is effectively exempt from federal consumer product safety oversight, resulting in an unparalleled lack of transparency and accountability,’’ Healey said. A spokeswoman for Glock said the company had not seen the court ruling yet and would not comment. An analysis of a database on all gun sales in the state between Jan. 1, 2014 and Aug. 13, 2015 showed that there were about 10,800 Glock handgun sales in Massachusetts — with about 8,000 of those sales being to people who are not in law enforcement, according to the decision. The judge said Healey “has good and sufficient grounds” to seek the records, based on safety and other concerns. In July, Healey angered gun owners and manufacturers when she moved to bar the sale of military-style rifles that have been altered slightly to evade the state’s ban on assault weapons. Michael Levenson and Milton J. Valencia of the Globe Staff contributed to this report. Evan Allen can be reached at evan.allen@globe.com. Follow her on Twitter @evanmallen.